Any Australian my age will surely remember the 70’s advertising campaign for a non-alcoholic mixer called Claytons: the drink you have when you’re not having a drink. 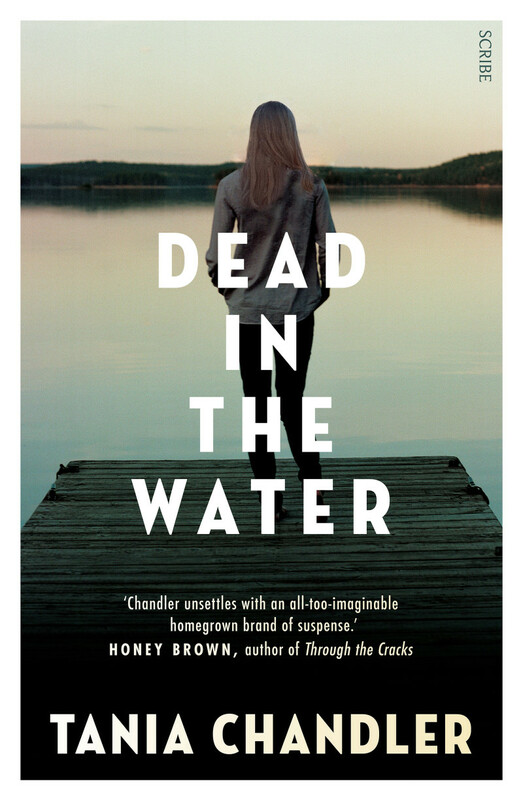 To me DEAD IN THE WATER feels like the crime fiction you have when you’re not having crime fiction. That’s not necessarily a bad thing but in this instance I thought it made the book a bit bland; unsure of what it wanted to be. Although there is a crime it doesn’t really drive the story or any of the characters and I didn’t feel that the psychological suspense was moving things along either. In fact there wasn’t much moving along of any kind. To me this novel reads more like literary fiction in that it is primarily an exploration of one human being’s life and the stuff that happens in it is less important than how the subject feels about and reacts to those life events. Except for the last dozen or so pages where there is action a-plenty. Again this is not a bad approach in itself but the issue I had with it in this instance is that I didn’t find the book’s subject – the tragedy-packed life of Brigitte Serra – all that compelling. The book is Tania Chandler’s second novel to centre on this character. I haven’t read the earlier instalment but didn’t feel at a disadvantage for that, with Chandler providing just enough information about previously described events for me not to feel out of the loop but not, I think, too much that those who have read the earlier novel will be bored by the repetition. But even without me having read them both, I cannot fail to notice that this supposedly average suburban mum has had enough traumatic life events to fill two books (so far) and I struggled somewhat with that fact. I know that all the reading I do requires me to suspend my disbelief but I couldn’t get past the mental hurdle that an average sort of person, even one who makes poor decisions on occasion, is unlikely to encounter all the horrendous things that have happened to Brigitte (who’s only in her 30’s by my reckoning). A car accident that nearly killed her and caused amnesia, being suspected of murder, one dead boyfriend (or maybe he was a fiancé? ), one dead husband and a nearly-dead second husband are among the traumas Brigitte has experienced before this book starts. And in this one there’s a family member’s death, another’s attempted suicide and more that I can’t reveal for fear of spoilers. Which is how it came to pass that I never really ‘bought’ her character. And even if I had, the exploration of her dealing with these events was basically to watch her get drunk and wish she hadn’t (that’s Brigitte wishing she hadn’t, not me doing the wishing). Brigitte is married to Aiden, a former homicide detective who, due to the events depicted in the first book which included him being shot, is now performing more routine police duties in eastern Victoria. They live with Brigitte’s twins from her first marriage and their own daughter Ella on Raymond Island: a small strip of land accessible only from the water in the Gippsland lakes. When a woman’s body is found on the island Aiden is only tangentially involved in the investigation of her death as detectives are sent from Melbourne to take charge but because the community is such a small one everyone is interested in events and in what insider knowledge the Serra family has of the investigation. But they, and we readers, are largely disappointed as there is never much provided in the way of investigatory detail or progress in the case. Instead the book focuses more on how Brigitte and her family are adapting to their new life – I gather some years have passed since the events of the first book – and how Brigitte and Aiden are coping (or not) with all life has thrown at them. For me there are missed opportunities here. For example I thought it pretty obvious what was wrong with Aiden and would like that to have come to light earlier so that the issue could have been explored more thoroughly rather than being hurriedly crammed into the final couple of chapters of the book. Ultimately I found DEAD IN THE WATER equally readable and forgettable. For me the genre elements (what there were of them) were too obvious and, aside from the beautifully captured sense of place, the literary elements of the novel lacking much in the way of insight into the human condition. But of course I read through the eyes of a die-hard fan of the crime genre; perhaps this is a book better suited to those whose preferences lie elsewhere. 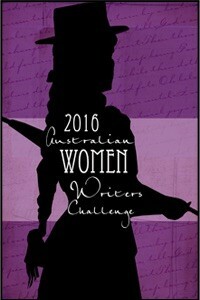 This is the 14th book I’ve read and reviewed for the fifth Australian Women Writers Challenge (well technically it’s 13.5 as one book was written by a father/daughter team). For more information about the challenge check out my challenge progress, sign up yourself or browse the Challenge’s database of reviews.